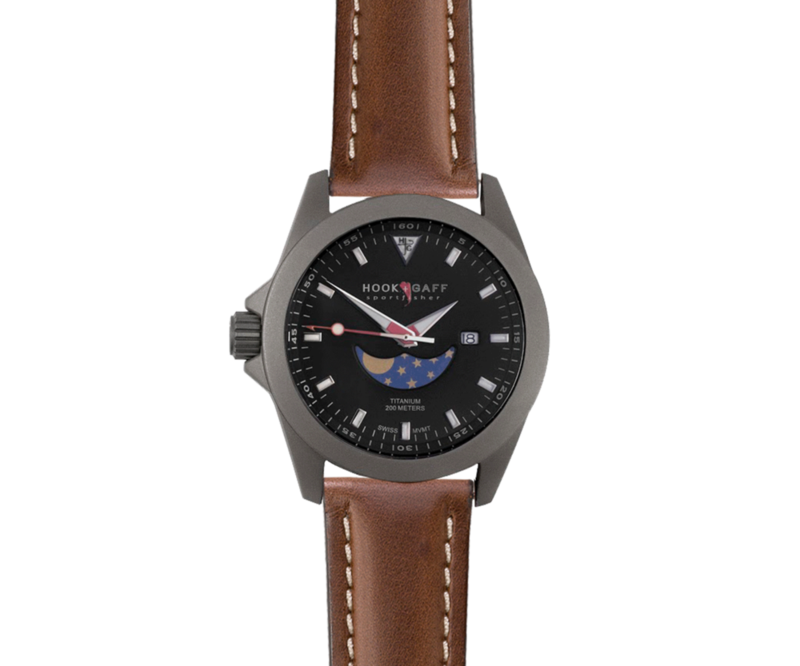 The new Sportfisher II Silver Moonphase Dial watch houses a custom Swiss quartz movement with moon phase and date. 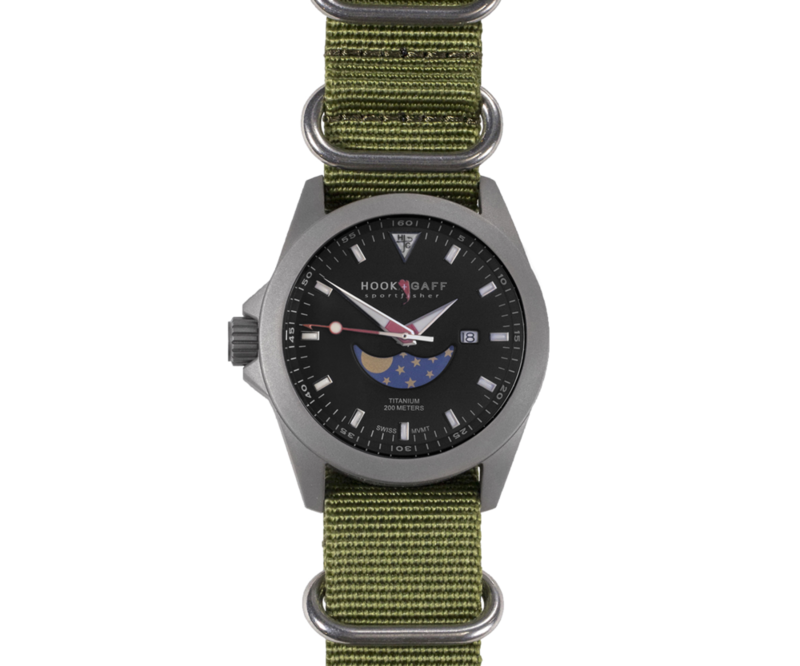 The crown is uniquely placed on the left side of the watch face to avoid irritation during active angling situations. 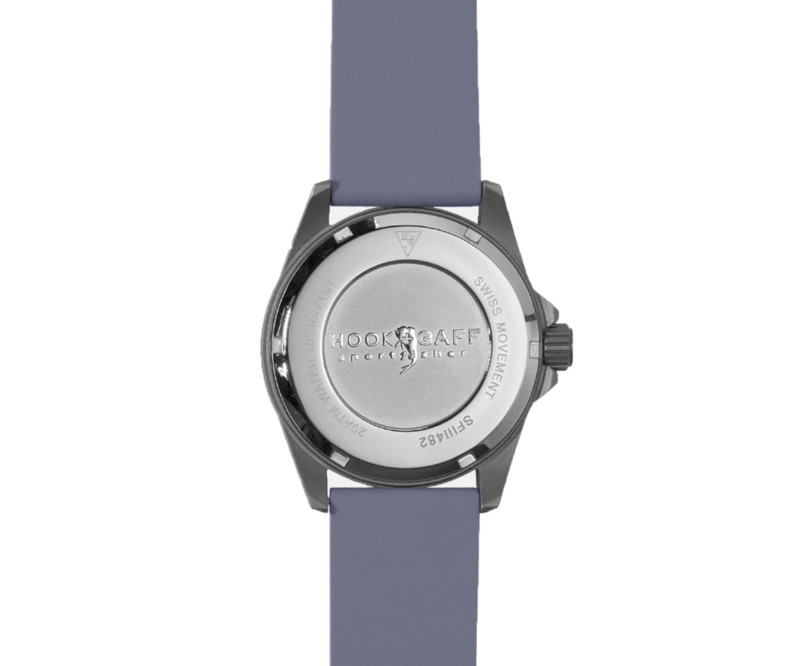 The titanium case is corrosion-and-water resistant, in addition to being a negative conductor of heat for those hot days on the water. 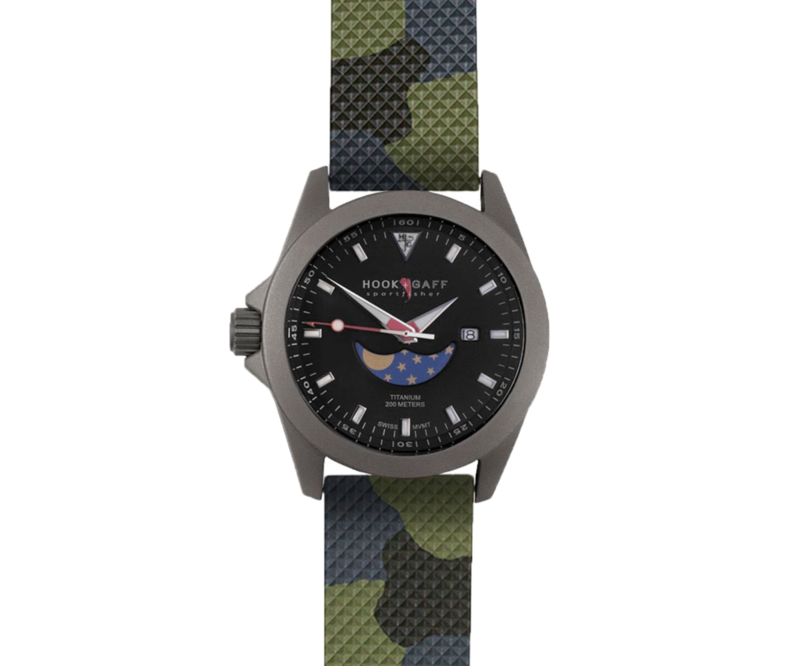 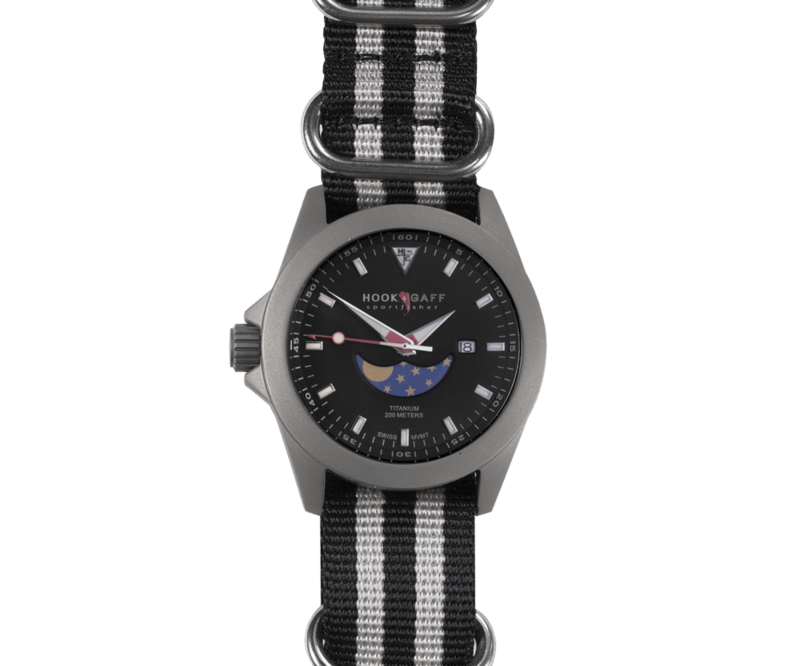 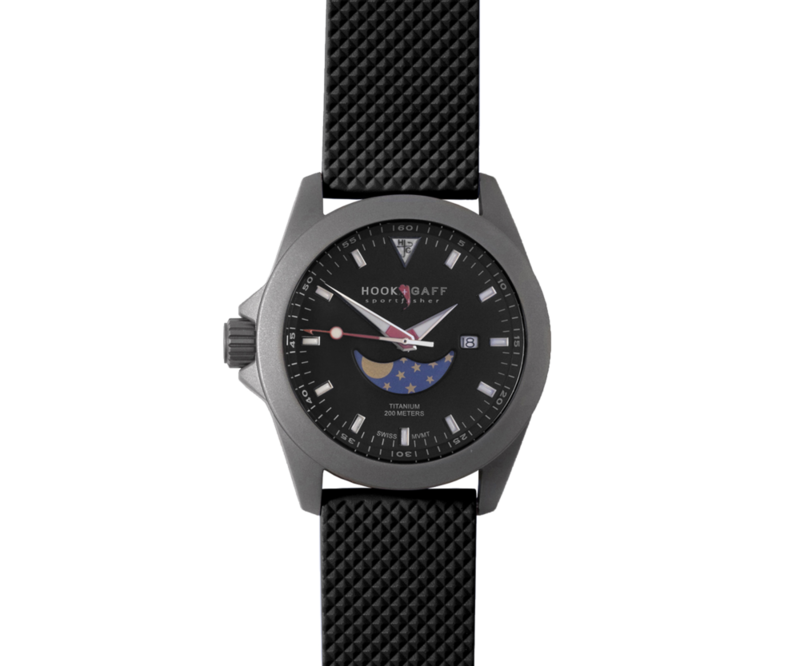 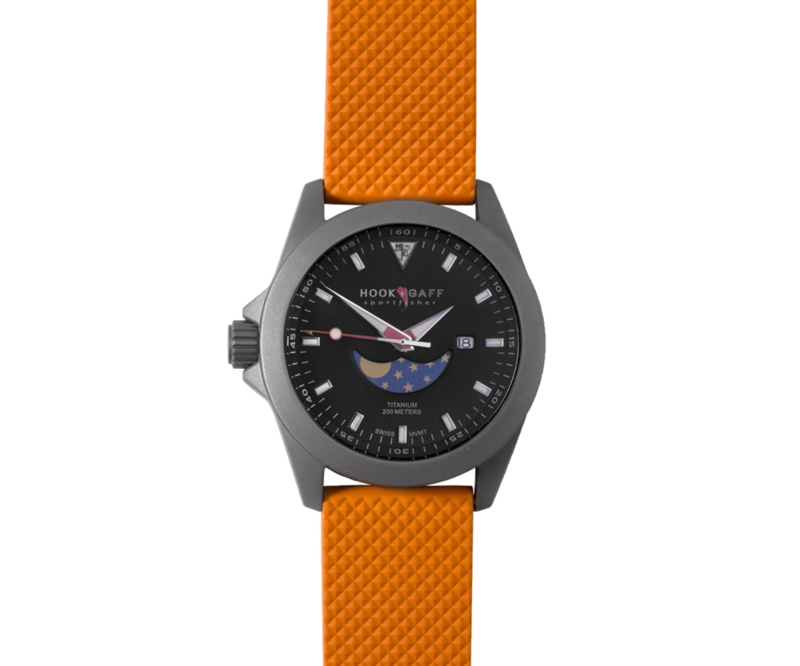 The Sportfisher II MP is offered with a selection of bands. 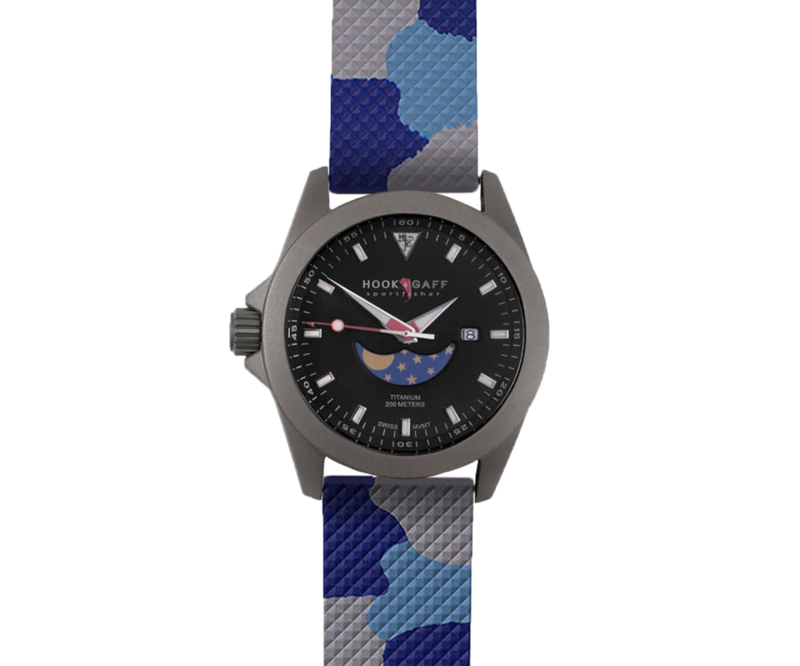 Each dial and band color combination has been curated by a team of designers.